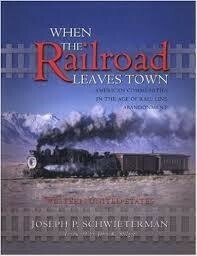 When the Railroad Leaves Town: American Communities in the Age of Rail Line Abandonment--Western U.S. 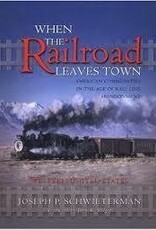 The history of the American West is an epic tale richly accompanied by railroads. From the Illinois prairie to the shores of Oahu, many legendary rail lines are now just dusty trails bereft of their former significance. These abandoned routes show the profound changes that affect the way we travel and conduct business. Through the use of maps, photographs, and a fast-moving narrative, Schwieterman illustrates the circumstances surrounding the rise and fall of rail service in fifty-eight communities distinguished for their notable railroad histories.